Female Designer specialised in wearable tech, biotech and material finishes, Giulia is a Material Design Researcher and Interaction Designer based in London, with a background in product social design and a Master in material innovation. These past two years she has been investigating on the potential of biotechnology and living materials, proposing a biological and sustainable alternative for eletronic textiles. She considers herself a maker and explorer, using materiality to question and communicate the boundaries between technology and our bodies. As a designer she aims to raise awareness, to expose assumptions, provoke actions and to spark critical debates. 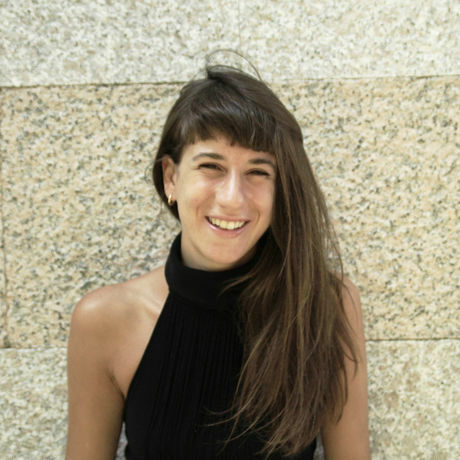 By researching and developing smart materials, and wearable computing propositions, Giulia questions our notions of wellbeing by developing innovative tools in the intersection of medical and social sciences. These intersections are enabled by her multidisciplinary collaborations and the symbiosis between her creative and scientific work, generating knowledge exchange and social integrations in healthcare. By designing alternative scenarios and acting as a creative thinker, Giulia uses material research as a personal drive, to develop experimental work and expose challenges as a driving force for modern societies.